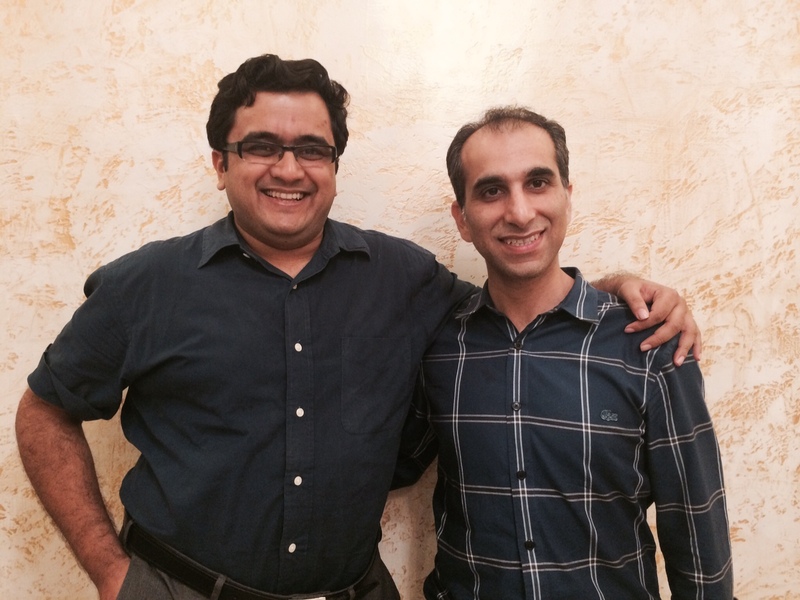 Shwetank and Rahul, founders of WalkOn. The team behind the WalkOn app had got in touch with me a few weeks ago to try out their app. Their interesting app involves winning discounts and rewards by tracking how much you walk and finishing small challenges. Rahul, co-founder of Mobile Health Solutions, the company behind WalkOn, agreed to answer a few questions via mail. P: Tell us your story. R: Shwetank and I are serial entrepreneurs and experienced professionals. We are both trained in Finance (Shwetank is a CA and I am an MBA from INSEAD) and have worked in large companies before promoting ventures (Shwetank has done low-cost healthcare for poor and I have been in education and clean energy startups). WalkOn idea came to us from our experience of running a brick-and-mortar preventive healthcare business. We figured that most people do not buy preventive care programmes until far into landing in a crisis. A third-party, be it government, insurers, employers or brands becoming interested stakeholders changes the equation. So we got brands, who care about well-being, to incentivise people through meaningful offers. Shwetank and I are personally motivated to promote WalkOn. Shwetank is a foodie, who’s been trying to lose weight for almost all of his life but had not found the right motivation hooks to keep at it. I am a runner and a believer in the fact that we need to take care of the homes (our bodies) we live in for 80 years and walking & jogging are the easiest things to become part of our lives. P: What is the primary motivation behind starting this app? R: Our primary motivation is to make India healthy. We wish to see WalkOn as the platform where people make intelligent life-choices on food, workouts and inspire others. P: How will people benefit from this app? R: We are providing a shot of motivation for a workout everyday. The app benefits all – fitness-freaks to fence-sitters on fitness. The brands and stores are helping seed the motivation and create habits with which WalkOn becomes a “toothbrush app” to use! P: What future do you visualize with mobile penetration increasing in India? R: India is the largest smartphone market with 125 million new smartphones added every year. WalkOn is simply using the power of the smartphone to measure activity data and to creatively present it. The future of the business is closely linked to smartphone penetration. The app has seen viral growth (by word-of-mouth) to about 1,500 installs since Oct 17 launch. We have been rated 4.8/5 with >60 5-star ratings. About 400 people have already claimed rewards on WalkOn. There are 30 brands on board currently. P: Thanks Rahul for your time! Readers – you can try out WalkOn by downloading for FREE from Google Playstore or read more about it on getwalkon.com. Hope you too will enjoy using WalkOn! 31 July 2015 UPDATE: Check out the new fitness app that the WalkOn team have come out with – Just Move. Good to know this post has helped you. I checked your blog – great to see you inspiring everyone to bike more. All the best!